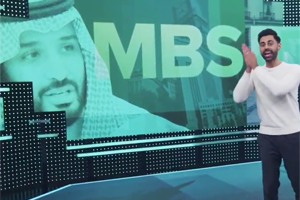 Showing 1 - 15 of 30 articles tagged "Censorship"
The former Last Man on Earth star isn't inclined to return to network TV with his MacGyver parody series. 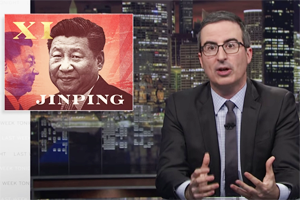 Why can't network late-night TV shows use profanity? 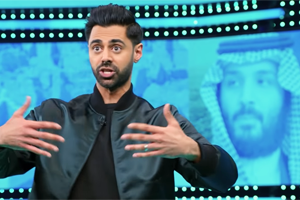 Hasan Minhaj slams Netflix's Saudi Arabia censorship: "It’s about the precedent"
“This isn’t about just censoring one episode of a TV show. 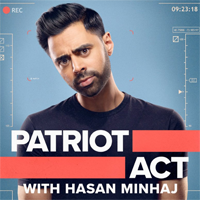 Before recently pulling Minhaj's Oct.
Did Netflix go about pulling Hasan Minhaj's Patriot Act episode from Saudi Arabia the best way it could? 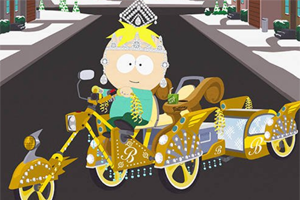 Netflix defended its decision last week to pull the Oct.
South Park has used the C-word in past episodes, but Comedy Central always bleeped the vulgar word. Why is Bachelor in Paradise blurring so many female butts? The ABC reality show is even blurring the butts this season of women who are wearing full-coverage swimsuit bottoms. The Wire creator was a reporter at The Baltimore Sun prior to working in television.